Wherever you are in Britain you are never more than 70 miles from the sea. This is great news for pets and their owners looking to enjoy brilliant beach walks, fresh air and fun! There are loads of amazing beaches to enjoy, but as a pet owner you will have your own requirements for enjoying a brilliant beachfront break. So here are 10 of the best dog friendly beaches in the UK for you and your four-legged friends. Lovely woodland surrounds this stunning stone and sand beach. Located on the Flamborough headland, it offers soft sand closer to the water’s edge and a great setting for a wonderful wander with your four-legged friend. Danes Dyke is dog friendly all year round, and the surrounding nature reserve is ideal for inland exploration too. No list of Britain’s best beaches is complete without at least one from Cornwall, and Perranporth is undoubtedly one of the South West’s finest. Here you will find long stretches of sand and plenty of activities to enjoy. Of course the beach itself is the best attraction for dogs, and – despite its popularity – it’s entirely possible to find yourself alone with nothing but fresh air, scenic beauty and tail-wagging wonder. This gorgeous stretch of Sussex sand offers a fantastic pairing of unspoilt beauty and fantastic facilities. There’s a beach café and car park, and the entrance from Chichester Harbour makes it easily accessible too! The scenery is equally stunning in both summer and winter, so it’s a perfect, pet-friendly escape for all seasons. Northumberland’s wonderful wild coastline is a dream for dogs and their owners. 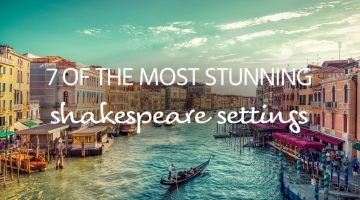 Gorgeous golden sands and stunning scenery await, framed by majestic ancient monuments and crashing waves – there’s no place like it! Bamburgh offers lovely wide stretches of sand, so it’s perfect for tiring your dog out. 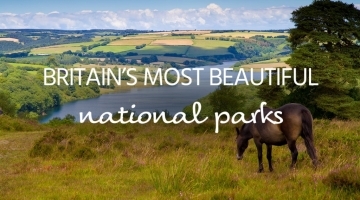 There are loads of walks and local wonders to enjoy in the surrounding area too. A firm family favourite on Devon’s north coast, Woolacombe is big, beautiful and perfect for exploring with your pooch. Despite its popularity – especially in peak season – it’s possible to find yourself alone on its 3 mile stretch of sand. There are great eateries nearby, along with other stretches of pet friendly coastline. 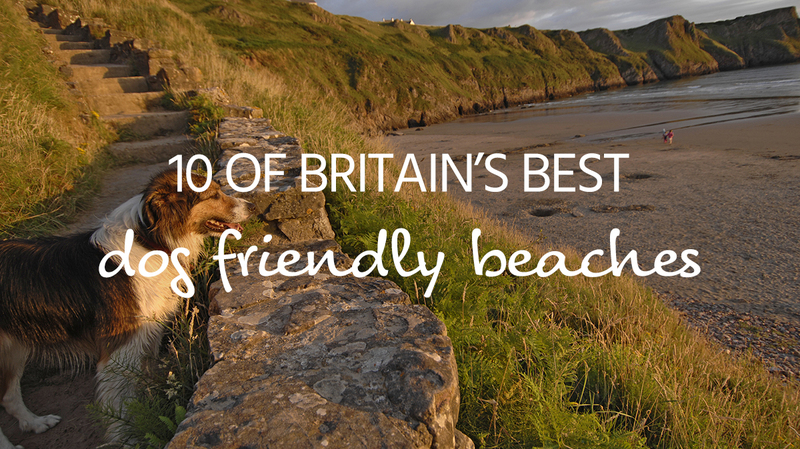 Visit and you will see that Woolacombe’s reputation as one of Britain’s best dog friendly beaches is very well-deserved! An amazing natural attraction on the UK’s south coast, Durdle Door is also where you will find one of Britain’s best pet friendly beaches. The sand and shingle shoreline provide perfect pet-friendly fun, while the iconic limestone arch provides a wonderful backdrop. Dog friendly all year round, it can get busy even in low season. Visit early or late in the day and you can avoid the crowds and treat your four-legged friend to some much-needed fun! Nairn provides a stunning, serene location with white sands and gorgeous scenery as far as the eye can see. 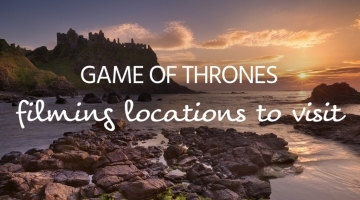 Miles of tranquil shoreline await with wonderful Highland scenery providing the perfect backdrop. It really is the perfect place to explore with your pet, whatever the weather! See if you can spot the school of dolphins just off the coast. Or you could head inland and enjoy a host of amazing walks before heading to a pet-friendly pub for some well-deserved refreshment. Lovely stretches of sand to be enjoyed in quiet seclusion, this Norfolk beach is something of a hidden gem and perfect for pets and their owners. A café at the entrance is perfect for pre or post walk refreshment, and there’s stunning seaside scenery in either direction. Spot seals playing in the water and enjoy miles of superb scenery and soft golden sands. If you fancy something a little livelier, you can find yourself in Great Yarmouth in under 30 minutes’ drive. A perfectly preserved slice of the past, Robin Hood’s Bay is a beautiful heritage fishing village on the Yorkshire coast. The beach beyond is the perfect place to blow the cobwebs away and stretch your legs while you bask in the scenic beauty. The beach is tidal, so make sure you time visit accordingly. But with Whitby and Scarborough both within easy reach, there’s no shortage of things for you and your four legged friend to enjoy in the surrounding area too! One of Wales’ most beautiful beaches is also one of its most acclaimed. Winning so many best beach awards that it could probably line its 3 miles of sandy shoreline with trophies, Rhossili Bay is a dog friendly delight. Stunning scenery and soft sand make walking the beach a dog-friendly delight. If you fancy venturing further then the Gower Coast Path is also your playground. It’s the perfect place to stretch the legs and pamper the paws.